Great man.. I am completely enthralled by this song, but didn't know the meaning of Kun Faaya Kun and then came across this post from you.. Thanks for explaining it so beautifully!! specially "Jab Kahin pe kuch kahin nahi tha, wohi tha wohi tha." this is absolutely wonderful..so peaceful indeed! need the translation of the full song..
he has done fantastic translation to the song. Worth read. great song! keep it up! thanks 4 dis beautiful insight.love dis song so much.BIG UPS TO A R RAHMAN 4 dis masterpiece. thanks for this. it is a lovely song. and the translation really helps. This song is very touching. Just awesome. It always makes me feel good even though I didn't know the exact meaning before reading this post. I love entire songs of Rockstar .... especially the song Kun faaya kun.. because this song relates me directly to God.I love the song. 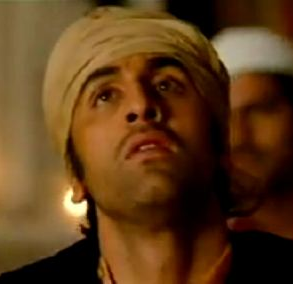 There's just one correction .....in ranbirs solo it's Kajra andhera Teri jalti lau...the light of Allah shining on him..cheers! What a awesome song....., said by AR....and lyrics of it is beautiful! Excellent work... I Really appreciate... keep up the good work. oooh god 300 comments ppl really don't have any other work. its really a nice song n music is so touching n great massage for peoples .. Thanks for the lyrics , i love the song . its a guf feeling when i hear this song alone . correction...it is, "jab kahin pe kuch nahi bhi nahi tha wohi tha wohi tha"
means: when there wasn't even "NOTHING" in this World, he was there, he was there"
Thanks you so much for sharing the meaning. I just loved it. The Song is B E Utiful.... But as text-ed above that "Originator (is He) of the heavens and the earth; and when He decrees a matter to be, He only says to it ' Be' and it is.".. is referring some thing to Allah Subhan-o-Tala...thus writing "He" or she is the sentence for Allah is not suited in this case... Thus i request the editor to make changes...as if u are quoting a Quran verses.. Very very Nice excellent meaning full song with awasome music. Thnaks to A.R. Rehman, Javed Ali & Mohit Chauhan. TAKES ME TO TRANCE SUUUUUUUUUUPPPEEEEEEEEEERRRRRRRRRRRBBBBBBBB!HE SHOULD GET ANOTHER OSCAR FOR THIS SONG!! OMG, I am totally addicted to this song. so true, so deep. It has brought me closer to God, and makes me really believe in God more and more. Rahman is definitely a God gift to us. Rahman is truly a God gift for us. Dear fellow humans, please forget about who is right or wrong and who is what. Just immerse yourself in the music, praise the Almighty, regardless of what path/religion you follow. Hearing this gives, peace, tranquility, happiness and prosperity. become ready to accept the blessings. Talha - I think Kun Fayakun translation is done correctly by Dunkdaft (And he says Be, it is/happens). There is a mention of this word in Sura Yaseen in Quran Sahreef. And I read the same meaning in my Quran translation. Wow ! after listening to this song a confused person like me really attracted to Islam and want to convert to Islam as I have just read some part of Quran after reading the meaning of the song here , The Quranic verses are more wonderful that this song, but I loved this song ...thanks to the translator. great song for sure. thats rehman's magic. Sing song , gives eternal feeings, thanks everybody associated with this song. mann ke mere ye brahm ,kache mere ye karm,,,,,le ke chle hai khan,,,,,,,,,n guys wat does dat mean?salla hu ali ib salm? and guys wat does dat mean?sal laaa hu ali ib salm??? and guys wat does dat mean?sal lalaa hu ali ib salm???????? I THINK ONE WHO SAY KURAN IS TEACHING US ONLY JEEDH SORTS OF THINGS I THINK IT IS TEACHING US HOW TO PRAY. Really an awesome song...thalaiva no one can beat u....keep gng!!!!!!! Sal lal la hu alai hi wassallam means (peace be unto u) in islam whenever we take the name of holy prophet we have to use this with the name of prophet..
i love u rehman sir , god bless you and your team , take care . This is the given virtue of Allah to A r Rahman,that he is utilizing wonderfully.......Excellent work. Amazing song Simply soothing and great voice!! "The Generous Prophet of Allah has said the truth." "Oh Allah honour him (Prohet) and grant him (Prohet) peace." Hey...Thank you so much for explaining the lyrics so beautifully....i loved this song and after reading the meaning i loved it even more...Thanks again..!! This phrase is about the Will of Allah and His Absolute Sovereignty on the subject of creation. To understand this well, we should know the meaning of the Unity of Acts and the creation of all created beings by Allah's Will. Precisely; Unity of Acts, in terms of His acts, does not need any help or helper from outside Himself. Should He use any means for that purpose, the means itself is created by Him and used by Him. It is not that He needs some help from outside Himself which is not connected to Him, and to be brought from somewhere else, or if so Allah would not be able to do whatever He wants to. No, it is not like that at all. Allah's Acts need none but Himself and His Will alone. The explanation is that the objective meaning of the phrase / kun fayakun / ('Be! 'and it is) is not that Allah issues a verbal command with the word 'Be', but the reality is that when He wills something to exist it exists. There will be no time between that Will and its existence, not even a moment. "Not by sound uttered, nor by voice heard, His Word, blessed be He, is Action proceeding from Him ". Very many thanks to all the contributors for such a detailed explanation of the wordings. May God bless all!!! My special thanks to Respected Sunni Hanfi for his contribution in giving us the clarity on it. Meantime, I wish to ask everyone - as to who is He, where is He - the omnipotent, omnipresent - all pervading Allah/God. I believe merely getting the "worldly" knowledge about something may not actually serve the purpose. If I am hungry, I would need "real" food and not the definition/description/qualities/usefulness of the food. a. Purpose of taking human birth - why He created us as human being and not like any 'other' living being. b. Is God really exists? c. If yes, can be seen/realized? d. Do anyone actually wants to get this GOD REALIZATION? And that too instantly? If anyone wants to know/discuss more on it, he/she is welcome to visit www.nirankari.org. Also if I can be of any help, it will be my privilege to put you to the 'right' person. The only info required by me would be as to where are you based - City/Country. you beleive in ghosts can you see them aur feel them...??? i don't knew the meaning but i cried on hearing it. A brilliant composition by ARR and the rendition of Javed, Mohit & ARR is simply mellifluous. For the last 200 days every time i felt bad this is one of the songs i would give a listen to remind me the world is a beautiful place and goodness is everywhere to those who seek it. Thanks a lot for such a ethereal jem. Exactly same script is written in Vedas also.Even as a Hindu i deeply appreciate this compostion & my head bows down to ALLAH for giving birth to such composers in India. Jab kaheen pey kuch naheen tha , wahi thaa wahi thaa. woh jo mujh me samaya woh jo tujh me samaya. karde mujhe mujh sey hee riha.ab mujh kow ho deedar mera are very very deep words & shows the level of communion of lyrist with Allah/ God/ Wahe Guru or what ever name we give. This composition brings anyone into tears.I bow in front of entire team for doing this great service to nation in current turbulent times ..
Javed Ali Thanks for taking birth in India. We are all proud of you , AR Rehman, Lyrist. Hats off to you all. Oh man....how how & how!! Song has 2 much peace in it self ..
Upar wale ka nasha hi kuch aur hai . eventhough am a Christian I love this song.je t'adore kunfaya.